Awards are issued to highly voted people who have made significant contributions to the nightlife industry. These people include bouncers, bartenders, photographers, videographers, Disc Jockeys (better known as DJ), Hosts, Co-hosts, promoters, and more. The voting process begins in the last quarter of each year and lasts for approximately one to two months. During this voting period, various people involved in nightlife tend to advertise themselves through social media in an attempt to receive votes. We add an in-house advertisement on the home page asking people to vote. Once the voting phase ends, we remove the advertisement. If you decide to vote, you must first create or use your active account on the forums at torontonightclub.com. (TNC) Several categories are available to cast a vote in. Each category represents a role of a person in nightlife as explained above. You may only nominate one member for each category. The TNC administrator will not accept multiple ballots from the same person. After the voting phase ends, voters receive free admission tickets to a party venue designated by the TNC administrator where he will reveal the poll results. People with the highest number of votes receive nightlife awards which may consist of high recognition and a trophy made from glass with an etched logo. Help the clubcatcher team deliver the best photos to you! Select the button below and cast your vote for Moses Sousa as best photographer! If you do not have an account with vBulletin on torontonightclub.com, then please register for a free account with them. 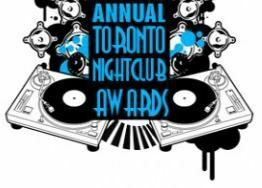 For more information including the status on the voting phase, visit torontonightclub.com or select the link below. The head photographer of clubcatcher, Moses, has won several awards as well. Select the link below to find out his prizes.